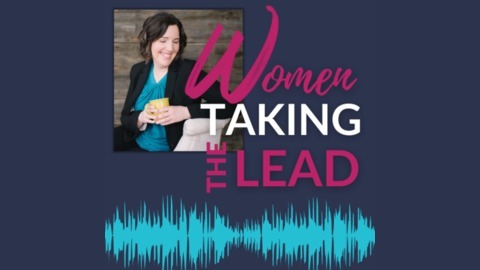 Women Taking the Lead is a weekly podcast containing interviews with women who have achieved success and men who help women develop their leadership; topical episodes giving insights and how-to's in the areas of leadership and personal and professional development, as well as "on-air" coaching episodes. 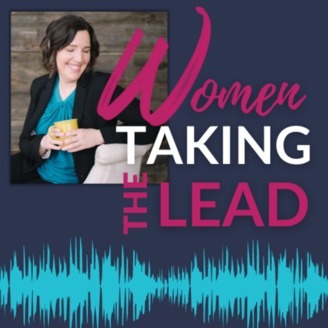 The aim of Women Taking the Lead is to inspire you to overcome self-doubt so you can follow your true calling, earn the money you deserve, create more time for fun on your journey, develop relationships that support you, and to silence your inner critic, and make working on your mindset for success a top priority. Hello everyone and thank you for joining me! Today I am continuing the conversation I started in the last episode on the various levels of leadership as related to the workplace. This is such an important topic because there are nuances to leadership that you may not be aware of and continuous growth and improvement are required if you want to make the impact you dream about. Your awareness of the different levels of leadership and what’s required at each level will affect your ability to get promoted and your ability to be successful after you’ve been promoted. I was promoted five times within 6 years and I learned a lot about how and what I needed to develop within myself and some of it was baptism by fire because of the pace I was promoted at. It pains me to see others struggle unaware that if they took a different approach to their role as a leader they would get much better results, experience less frustration and they wouldn’t have to work so hard to get those results. I’ve heard too many of you reporting struggles that were due to not knowing how you needed to shift your leadership as you rose through the ranks. I’m going to go through some common leadership levels and talk about the skills and mindsets you need to take on if you want to achieve them and be successful in that position once you get there. In the last episode we talked about the Entry Level Leader/Individual contributor and the Frontline people leader. If you haven’t had a chance to listen to that episode go back and listen to Levels of Leadership Part I. In this episode I’m going to talk about another two levels of leadership: leading other leaders and leading volunteers. Zebralove Web Solutions: Close your online marketing skills gap, learn how to remain relevant in a quickly changing marketplace, and get ongoing support in promoting your businesses online. Stay ahead of the game by signing up for these Digital Marketing Forum. Go to womentakingthelead.com/zebraworkshops to register.